Guruvayur: Chembai Music Festival 2014 conducted in connection with the Guruvayur Ekadasi festival will be held from November 17 onwards. 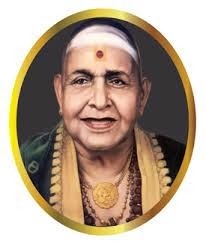 The festival is in commemoration of Chembai Vaidyanatha Bhagawathar who was a doyen of Carnatic music and an ardent devotee of the Lord Guruvayurappan. More than 200 carnatic musicians will participate in the festival being held for 15 days. This years festivall will be inaugurated by Dr. K. Radhakrishnan, ISRO Chairman. The Guruvayurappan Chembai Prize worth Rs. 50,000 and gold medal will be presented to Mangad Natesan, carnatic musician. The highlights of the Utsavam are group singing of saint Thyagaraja's Pancharatna Krithis on Dasami day by several leading artists. All India Radio and Doordharsan telecast the last few days’ programmmes live.